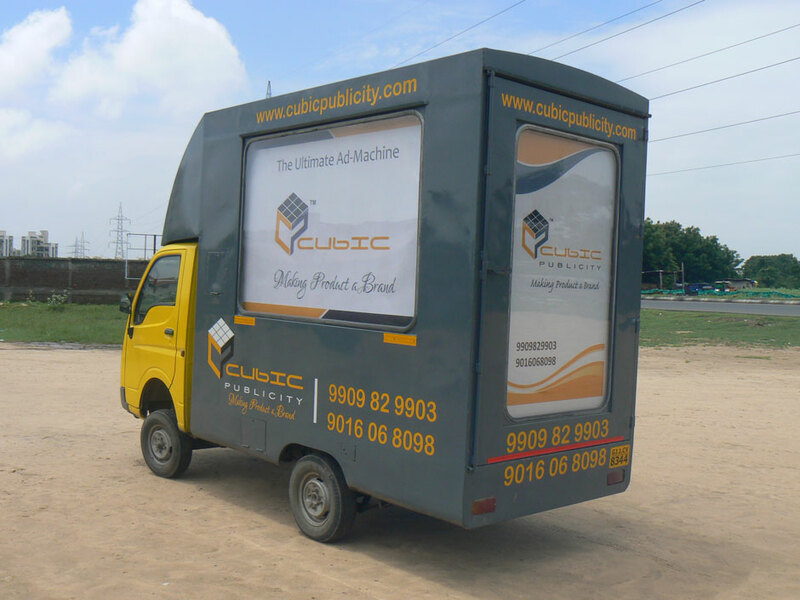 Cubic Publicity is the 1st advertising company to Provide one end solution for FIXED LED DISPLAY VANS And HYDRAULIC LED DISPLAY VAN. The Company had put their sincere efforts of several years for bringing this unique concept into existence. The company wanted to provide its customers exposure not limited to a single four cross or particular area but covering the entire city or state by Using this single media; We also make special advertising vehicles as per clients requirement, please feel free to contact us for further information. We make your product visible to maximum audience for better marketing. Greater coverage per cost compared to other advertising media. Anywhere, Around the Clock, Day and Night. More Geographic Territory than a Static Billboard. 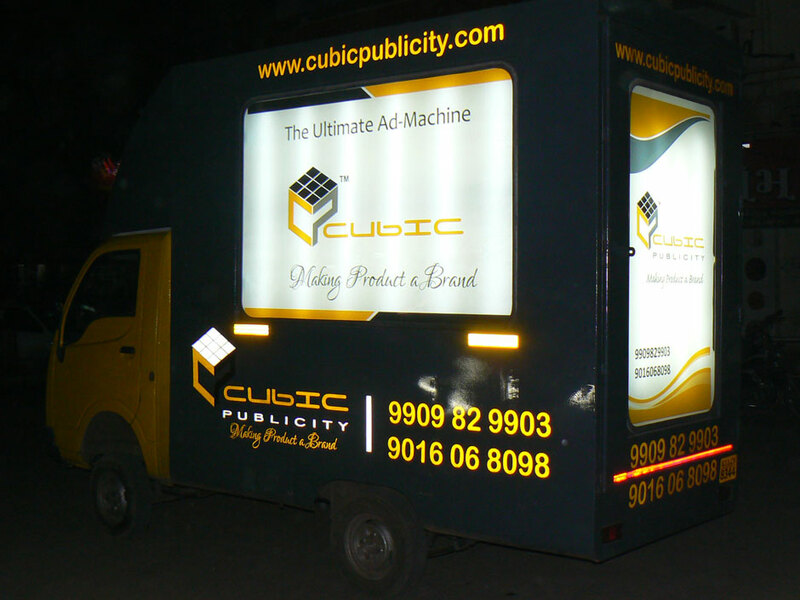 We are one of the leading Advertising company in Ahmedabad, we are the first who works for advertisements in LED display mobile van as well as Back light scrolling display mobile van.